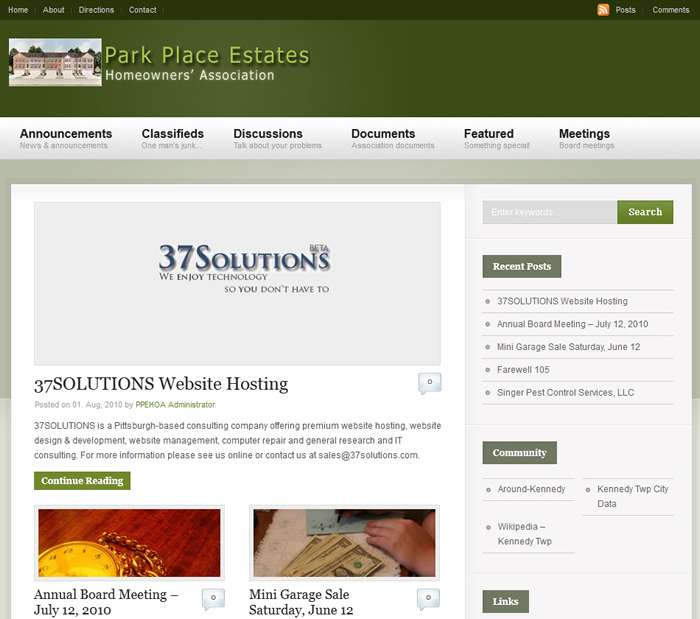 Park Place Estates Homeowners’ Association (PPEHOA) wanted a website to bring their small community together and have the ability to share private documents. We originally started with a website built on an open source software product called Community Server and later transferred to WordPress when Community Server went closed source. The transition was seamless and most of the residents picked up on the new site without any questions. A new board was elected and discontinued the website to save money. Within a year they requested a quote to put the site back because the residents wished they still had it.